Dimensions 1.45 by 4.76 by 7.48 in. Amazon.com description: Product Description: This novel is about musician Adrian Leverkuhn, told by his friend from childhood, Serenus Zeitblom. From childhood Adrian soaked in knowledge originally a student of theology, he left university and began studying music seriously under his first music teacher, Wendell Kretschmar. 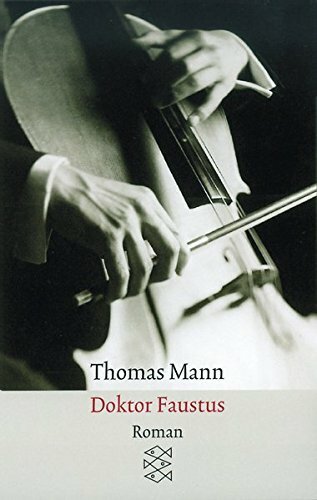 Arriving in Leipzig to study, Adrian is decoyed to a brothel by a porter, and that sets the stage for the tragedy of his life, played out literally against the backdrop of his towering musical achievements.